A recent New York Times report has shined a spotlight on the fact that Lower Manhattan is now considered a media hub. While Park Row was the media center in the 19th century, the digital age has allowed downtown to become a hot spot for the ever-evolving and changing media. 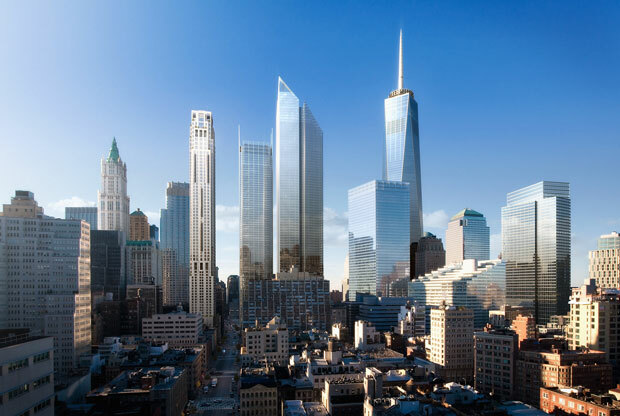 Lower Manhattan is no longer reserved for financial types. The Alliance for Downtown New York counts 60 media outlets occupying space below Chambers Street. Among other companies planning to migrate south from Midtown to the Financial District and the World Trade Center hood are Conde Nast, The Daily News, US News & World Report, Newsweek, The Daily Beast and that bastion of gossip The National Enquirer, which is the print pre-cursor of TMZ and Perez Hilton. Menâ€™s Fitness is already enjoying downtown space. The Alliance for Downtown New York also indicates that nearly 5,500 media types will eventually be working downtown, excluding Conde Nast employees. Another reason that downtown offices are appealing to journalists and bloggers? Their proximity to Brooklyn, which are affordable locations for those with media salaries. What do you think of Lower Manhattanâ€™s new reputation as a media hot spot?